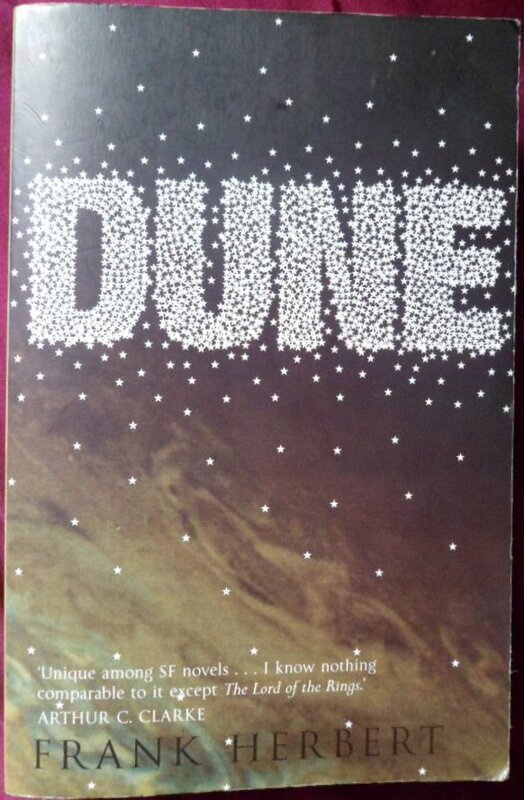 “I know nothing comparable to it except The Lord of the Rings” thrills Arthur C. Clarke on the front cover of my copy of Dune. Coming from one of the heroes of sci-fi writing this is quite an accolade so I was expecting great things from this novel which I chose to read next in an attempt to lighten the mood after Love in the Time of Cholera. That perhaps wasn’t the wisest idea since there is nothing particularly light or uplifting about Dune, which tells the story of a young man facing his destiny by fighting to reclaim his father’s rightful title as ruler of the planet Arrakis. Unlike some fantasy novels, there is no easing the reader into the world Herbert has created; no gentle explanation of unfamiliar terms and no real description of the people or planets involved to help you orientate yourself. Instead within the first few pages we are thrown into a world of Harkonnens, the Kwisatz Halderach and the Gom Jabbar. I have to admit that although I’m no stranger to science-fiction novels I struggled to get my head around these new terms and properly visualise the planets of Arrakis and Caladan. After persevering for a few chapters I found myself relaxing and I was able to follow what was going on a bit better but it was still a struggle at times. At the end of the book there were still terms I was unsure of although reading the appendices afterwards cleared up some of my confusion (the realisation that there was a glossary at the back of the book made things a lot easier). In contrast, about half way through the book I came across the word ‘jihad’ being used to describe, as you might expect, a religious crusade. A little further on was the word ‘Hajj’ referring to a pilgrimage. The usage of these familiar words (there were others and all were associated with Islam) really threw me as there appeared to be no real reason to choose these words and they made me wonder about Herbert’s motive for using them. In fact if you were to get political about it the whole story could be seen as a bit of a social commentary in which the apparently Islamic Fremen rise up against those who keep them beaten down in order to use them to harvest the planet’s main resource (for ‘spice’ read ‘oil’) and fight back. I’m not saying that is what it’s about, Dune was published in 1965 and I have no idea what the general feeling towards Islam was then or what Herbert’s own views are, it’s just that there a lot of coincidences in his use of language and theme. The story itself follows Paul Atreides who is heir to his father’s role as Duke of Arrakis, a desert planet where life revolves around the conservation of water. However there is an evil plan afoot by the Harkonnens, a family who have a long feud with House Atreides to overthrow Paul’s father and take possession of Arrakis. The plan succeeds and Paul and his mother are forced to go into hiding among the native Fremen people who believe Paul to be the legendary figure they have been waiting for to lead them into battle against their oppressors. The story was told mostly from Paul’s perspective with occasional forays into the viewpoint of the Baron Harkonnen which he invariably used to enlighten us as to his next cunning plan. I enjoyed these insights into the other side – as we all know, evil characters are almost always the most entertaining and this holds true with Dune. 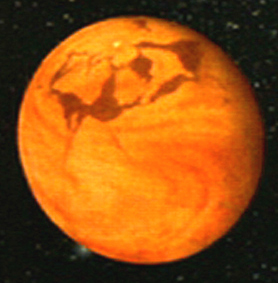 With Arrakis being a desert planet, water is in short supply and a large part of the story revolves around the importance of water to the Fremen people. This was my favourite element of the story, from the descriptions of the stillsuits worn to conserve water while out in the desert to the ingenious windtraps and the ceremonial uses of water. Once I got my head around the writing style and accepted the fact that I was probably not going to understand everything that was going on I came to enjoy Arrakis and I really liked the Fremen; they’re a very traditional people and I loved discovering elements of their culture and beliefs. The only thing that did annoy me a little bit was the repeated description of their eyes as being completely blue. This was a fact that was ascertained early on and didn’t need repeating every time someone looked at a Fremen face. Other than water, the main theme is destiny; due to the combination of his breeding and training, Paul has a number of, shall we say, special talents and is destined to become someone he doesn’t want to be. He spends the book trying to change the course of his future but whether he succeeds or not is of course down to you to find out. It makes for some interesting character development but I felt that Herbert often got a bit bogged down in descriptions of possible versions of the future and the visions Paul experiences and I for one tended to get a bit confused between the certain and the hypothetical. So I found Dune a hard read but it is undeniably a work of incredible imagination and a masterclass in how to create a rich, multi-layered universe (the story extends far beyond the planet of Arrakis) with deep history and intricately crafted cultures and beliefs. Once I got into it I enjoyed it and I really felt for Paul and his wish for an easier life. Dune is heralded as an incomparable work of ecological fiction which is no understatement and is certainly its most interesting theme. I’m glad I saw it through to the end but I think it will be a while before I get round to trying out the other titles in the series, I might have managed to enjoy this one but I’m in no hurry to return to Arrakis! 5., 22., 23., 24. Harry Potter and the….. When a series is as well-known and loved as Harry Potter there’s not an awful lot left to say. But I thought I’d give it a go anyway. For the past six months or so I’ve been rereading the series in a morning over breakfast. Not because I’m ashamed to carry them round you understand, more because I like to have something easy to read first thing in a morning before my brain really gets going. And also because the later books get a little heavy. Which makes me one of the thousand of fans out there who got sucked into the world of magic created by JK Rowling. The books have been translated into 67 different languages bringing them to a truly global audience (see my post on the French version here) and converted into a $7.7 billion film series which has had more of a mixed reception (I’m not a fan personally). So what is it that makes Harry Potter so special? 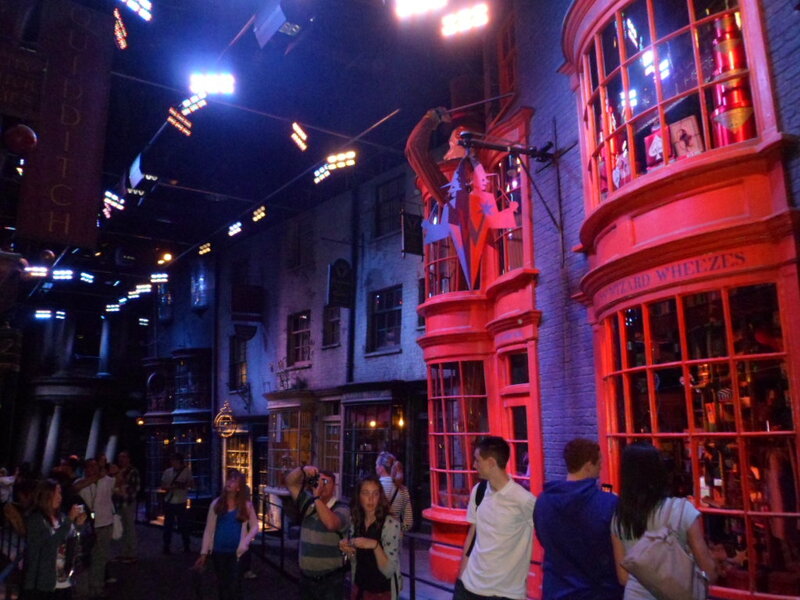 I’m not a fan of the films but I did go to WB studios and I do love the sets/props and costumes. Just not he acting or the way they told the stories. Of course everyone will have their own take on the answer to that question but I wanted to give some of my thoughts, please feel free to share yours as well. I was a late comer to the series, I didn’t read any of the books until the publication of the Goblet of Fire in 2000 but once I did I was hooked and I think what really did it for me was Harry’s first trip to Diagon Alley. Rowling’s description of the amazing spectacle Harry encounters when that archway behind the Leaky Cauldron opens up had me spellbound (excuse the entirely intentional pun) and from then on I could see the magical world almost as clearly as if I was there myself. Rowling has an incredible skill in that she can write pages of description that hold the reader’s attention and allow the world to come to life. A thing that anyone who’s ever heard me talk about Bleak House will know I greatly value. From that moment on, from discovering the sweets on the Hogwart’s Express and the splendour of the Hogwart’s Castle to the hundreds of minor details that enrich the whole world I was with Harry on every step. there was no question that Rowling’s writing allowed me to see through his eyes and it was always with a slight sadness that I closed the book and realised I would never actually see any of the things I’d read about. There seems to be something about an author who creates a whole new world that enchants us more than novels set in our own world. Perhaps it’s because the sense of escape is greater when the story takes you somewhere entirely ‘other’ and allows you to truly leave your everyday worries behind. I think what makes Harry Potter’s world even more special is that it exists in parallel to ours so that the slightly odd man on the tube could be a wizard and the dark alley you avoid looking down could be an entrance to the Ministry of Magic. It gives a little magic to our own world and makes it that little bit more exciting to live in. 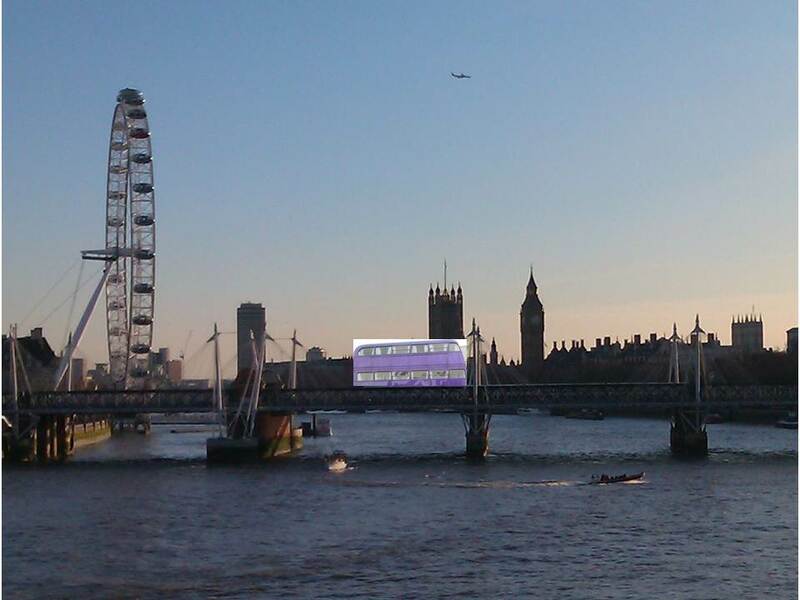 Is that the Knight bus I saw on Hungerford Bridge? The people in the Harry Potter series must share some of the credit for making it such an unstoppable read. If we didn’t care about Harry and want him to triumph I doubt the series would have taken off the way they did. In fact it’s the characters that make book 3, The Prisoner of Azkaban, my favourite in the series. The addition of Sirius Black and Remus Lupin gave me two characters I could really love and they remained my absolute favourites throughout the rest of the series. 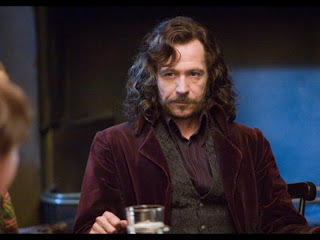 Having him played by Gary Oldman didn’t hurt either. 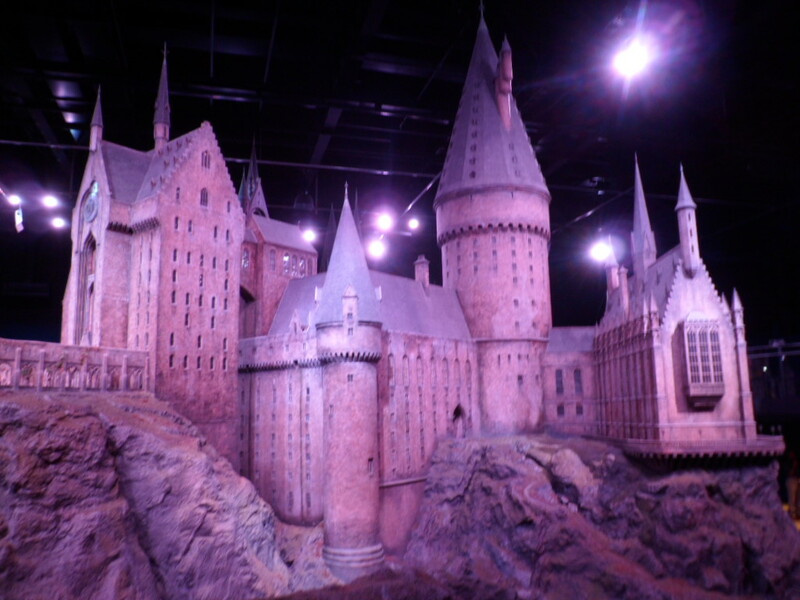 And there’s something to Rowling’s writing style that just keeps you turning pages, there’s always a lightness hidden behind the most sombre of events, a witty turn of phrase or a keen observation to lighten the mood. She truly is able to make you laugh and cry at the same time and she has such a creative use of language that keeps you hanging on every word. One reason that Sir Cadogan is a close third in the competition for my favourite character. I’ve just started reading Rowling’s latest book, A Casual Vacancy, which is billed as her first book for adults, something I have to quibble with. 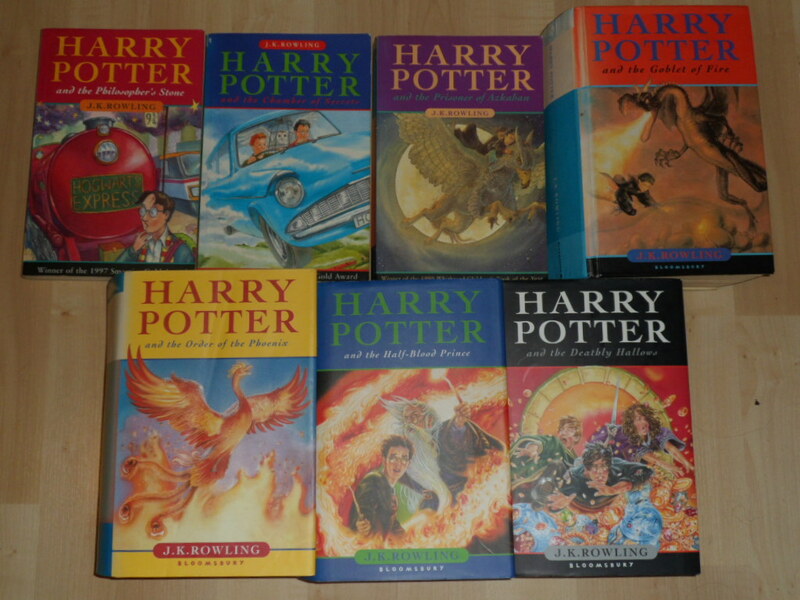 Millions of adults across the world have enjoyed the Harry Potter series just as much as the children the books were originally aimed at. The true success of Harry Potter is that he lives in a world which the majority of us would love to escape to and in that he speaks to people of all ages. Which is probably the true magic of Harry Potter. Oh and the always contentious epilogue? Personally I liked it and I don’t mind admitting it. The last couple of sentences might be a little bit cheesy but I enjoyed the finality of it all which allowed me to put the story properly to bed.